In a wide bowl beat the cream cheese until smooth. Add the confectioner's sugar and beat again until smooth and creamy. Add the melted chocolate and vanilla essence to the cream cheese - sugar mix and stir well to blend. 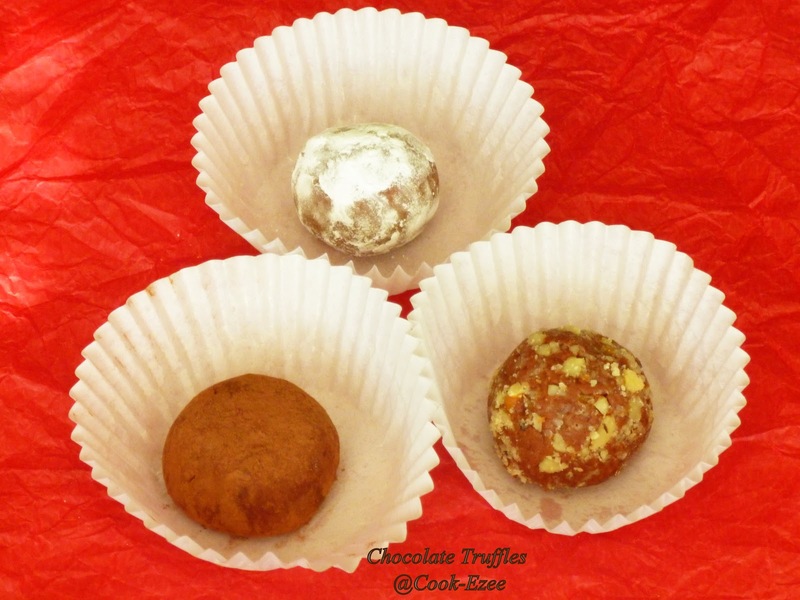 Refrigerate the truffle mix for 1 to 2 hours. Take out 1 tsp each from the truffle mix and make roll into 1 inch smooth balls. 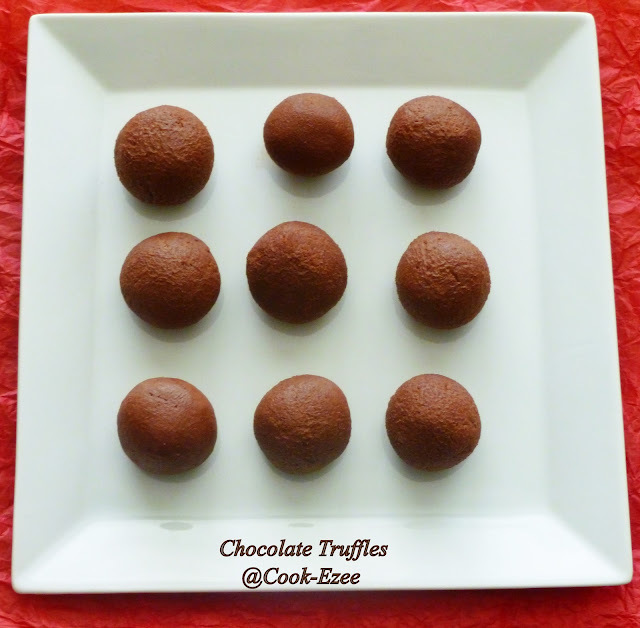 Yummy Chocolate truffles are ready. 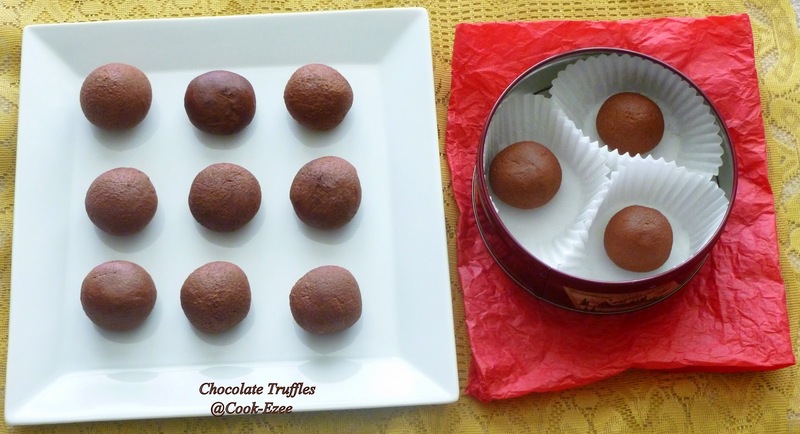 1) Put 2 tbsp cocoa powder, 2 tbsp confectioner's sugar and 2 tbsp finely chopped/crushed walnuts in three small bowls/ramekins and roll preferred number of truffles in the three bowls to get different coating for truffles. 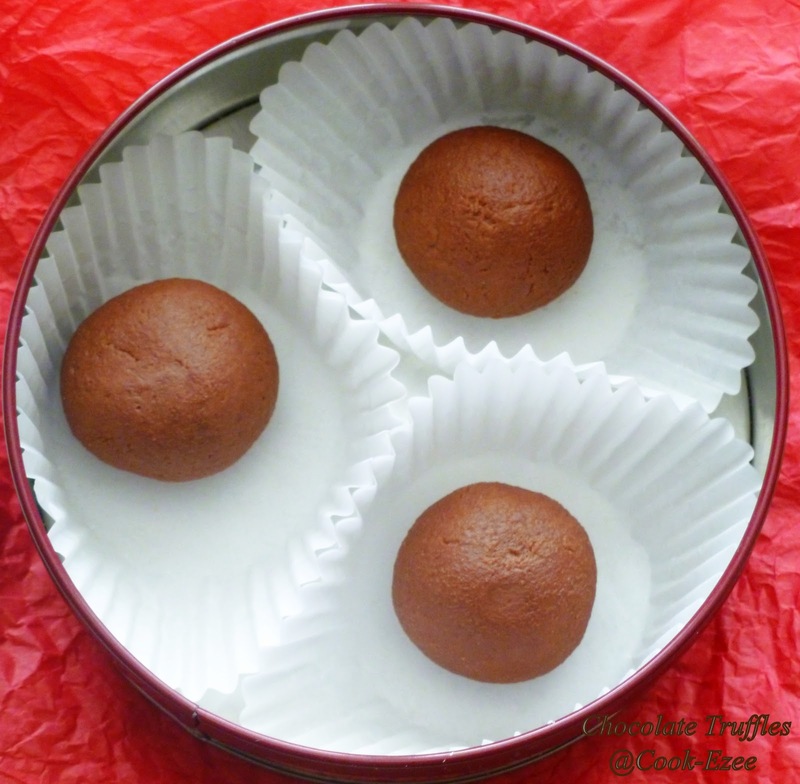 2) This truffles do not tend to melt even if you keep it in room temperature but I would prefer to keep it refrigerated so that it remains non-sticky. 4) The recipe is adapted from Allrecipes but I have altered/reduced the measurement according to our taste. Wow, looks so.. Good, nice clicks and an award is waiting for U at my space dear.. WOW!!!! Lovely and beautiful truffles. They are so pretty & lovely!!. Thank you for sharing. Happy Valentine’s Day!! Lovely easy delightful ones..lovely presentation as well..I loved the cute heart on one of them! 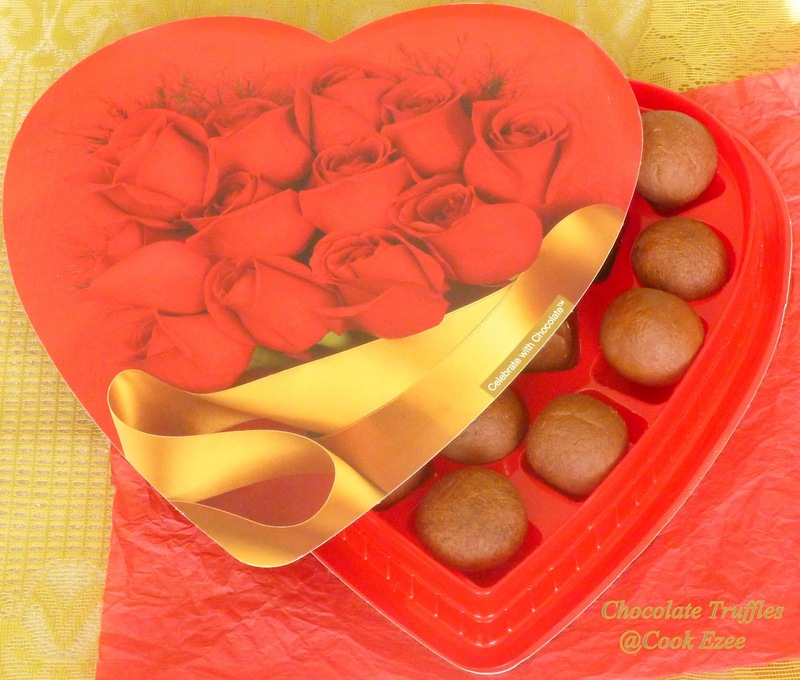 !Happy Valentines Day,Prathibha!! 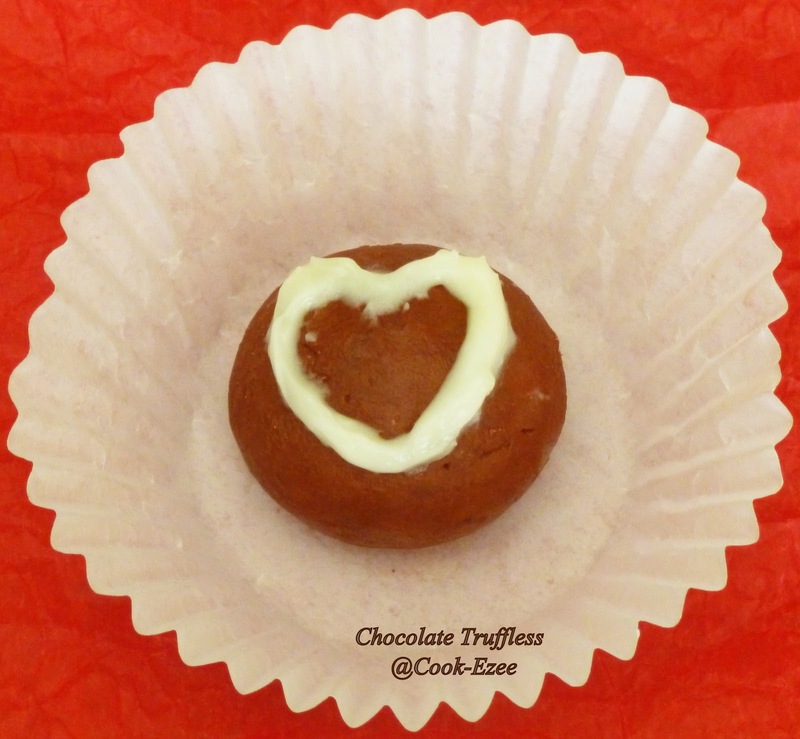 wow...cute n delicious looking truffles, great presentation n u have made it well!! Truffles look very cute and inviting. 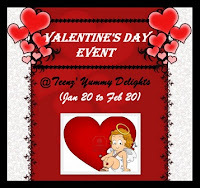 Happy V-Day and thx for linking to the event. Chocolate truffles looks very tempting !! looks wonderful !! Thanks for linking to the event !! wow, yummy and lovely truffles, wonderful presentation :) Thanx a lot for linking it to my event dear ! !